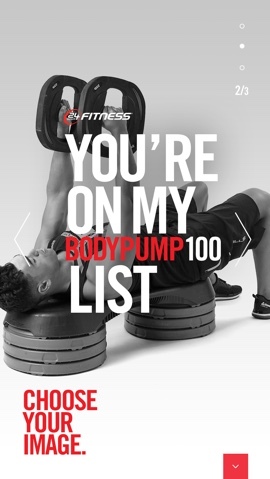 Les Mills’ BODYPUMP 100 – the premier fitness program’s 100th edition - launched in clubs nationwide on January 14th, 2017. 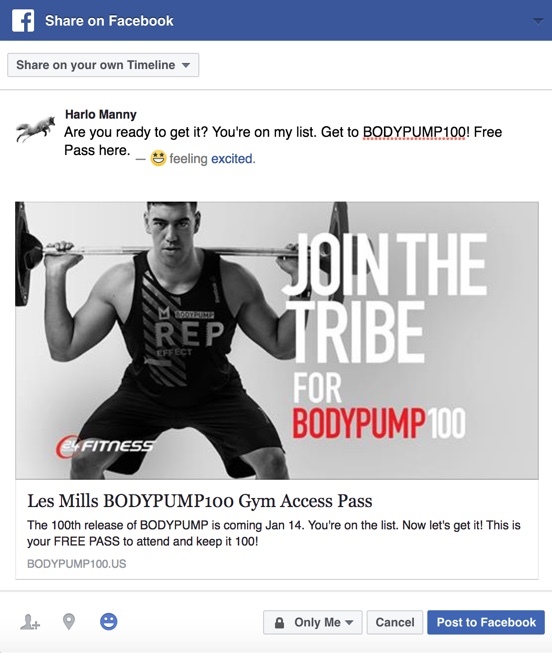 In order to drive consumer interest in this major release, and to support Les Mills’ most important club partners’ member acquisition goals in the new year, Les Mills sought out options to integrate with club partners to distribute free passes via the expansive Les Mills’ Instructor network. 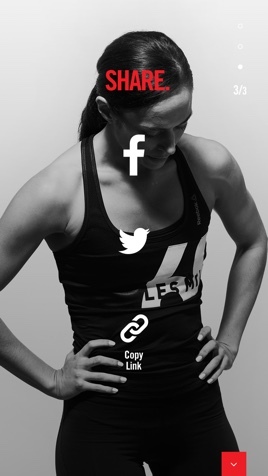 Harlo had previously built a custom referral solution for the Les Mills team, and in this project, we used its code as our jumping-off point for a brand-new, streamlined and efficient digital tool that would allow for a branded experience for each major club partner. 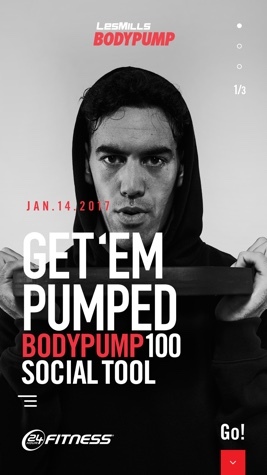 The desktop and mobile-optimized tool enabled Instructors to invite friends and family to try BODYPUMP 100 via club-specific Free Passes. 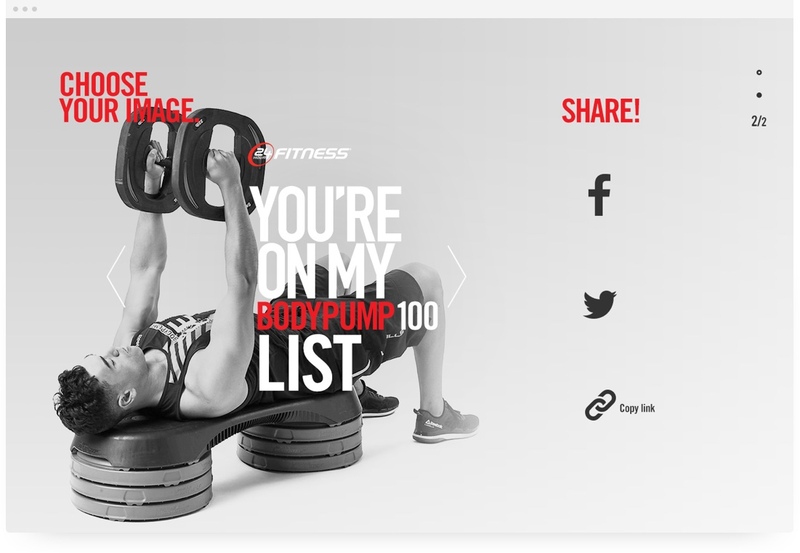 Instructors could access and share a unique promotional code with their network through Facebook, Twitter, or a shareable URL, giving their followers access to a free club pass. 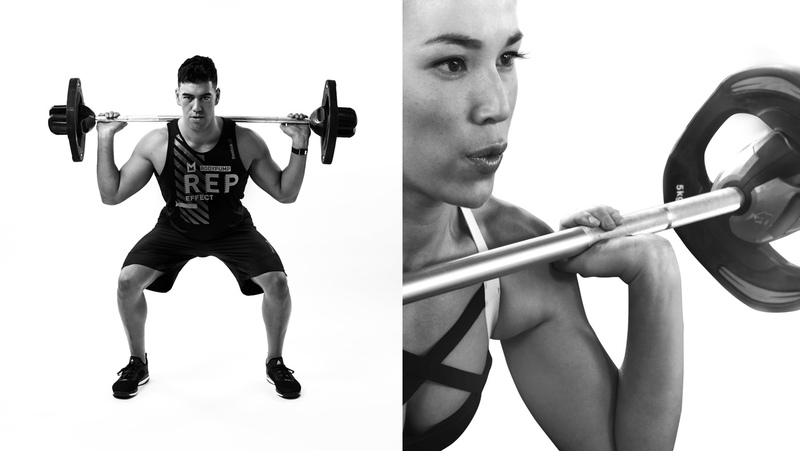 Tracking systems, including a deep integration with Les Mills’ existing email service provider, allowed us to measure campaign results by club, region and individual instructor. 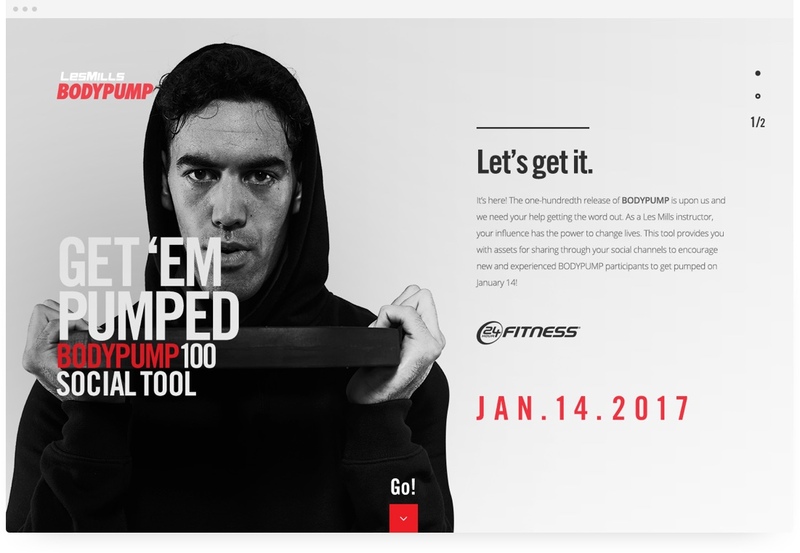 Ultimately, Les Mills had full visibility of the userflow at each stage – email, landing page, social shares, and redemptions – and was able to incentivize and reward the Instructors and Regions who recruited the most Free Pass users. 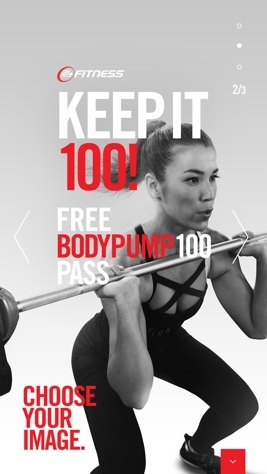 It allowed them to be flexible and reactive in promoting the launch of Les Mills’ BODYPUMP 100.